latest interview: Interview: Panic! 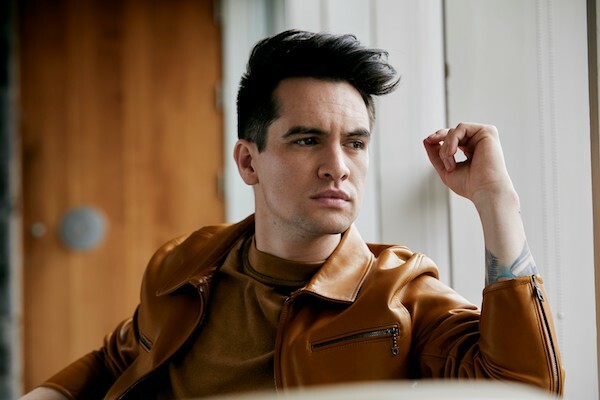 At The Disco's Brendon Urie on new album 'Pray For The Wicked'. Music Panic! At The Disco - 'Dancing's Not A Crime' music video. Music Panic! At The Disco performs 'High Hopes' live at the 2018 MTV EMAs. Music Panic! At The Disco cover OutKast's 'Hey Ya!' for Spotify. Music Panic! At The Disco - 'High Hopes' music video. Music Panic! At The Disco bring ice-cream to Reading + Leeds Festival. Music Watch: Panic! At The Disco & Cyndi Lauper perform 'Girls Just Wanna Have Fun' together live. Music Watch: Panic! At The Disco covers Weezer's 'Say It Ain't So'. Music Panic! At The Disco debut at #1 in the US with 'Pray For The Wicked'. Music Panic! At The Disco host Temple Of The Wicked event. Music Watch: Panic! At The Disco x Today. Music Panic! At The Disco's Brendon Urie pledges one million dollars to GLSEN to support LGBTQ Youth. Music Panic! At The Disco x 'Pray For The Wicked' Week - Part 1. Music Listen: Panic! At The Disco x Ride Or Die playlist. Music A dynamic duo: Brendon Urie + dogs! Music Interview: Panic! At The Disco's Brendon Urie on new album 'Pray For The Wicked'. Music A Panic! At The Disco x 'Pray For The Wicked' appreciation post. Music Panic! At The Disco - 'Hey Look Ma, I Made It' music video. Music Here's your Panic! At The Disco Silver Lining VIP info. Music Listen: Panic! At The Disco's new song 'King Of The Clouds'. Music Coup De Main presents: Panic! At The Disco's Pray For The Wicked Tour in New Zealand. Music Watch: Panic! At The Disco perform 'High Hopes' live at the Stanley Cup Finals.